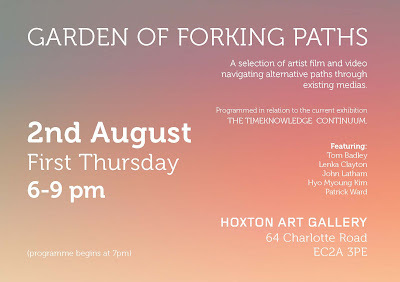 I am showing an excerpt of a video work for Garden of Forking Paths on 2nd August 6-9pm (First Thursday) at Hoxton Art Gallery, programmed in relation to the current of exhibition, The Timeknowledge Continuum, by Steven Dickie. Please come and enjoy the films and videos by Tom Badley, Lenka Clayton, John Latham and Patrick Ward along with my work. 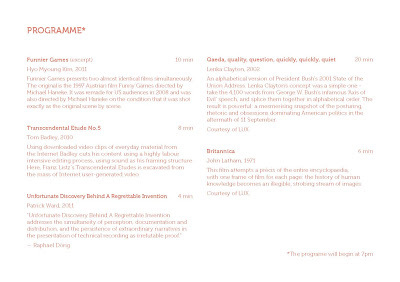 The programme details included in the PDF.